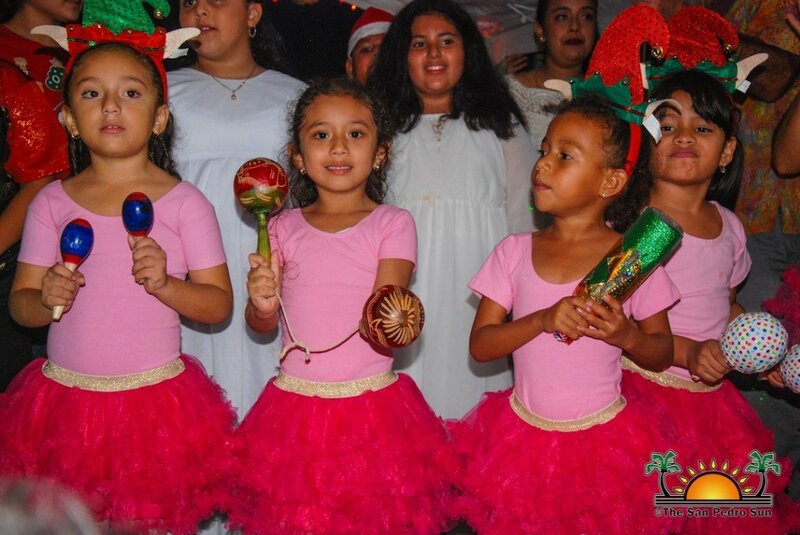 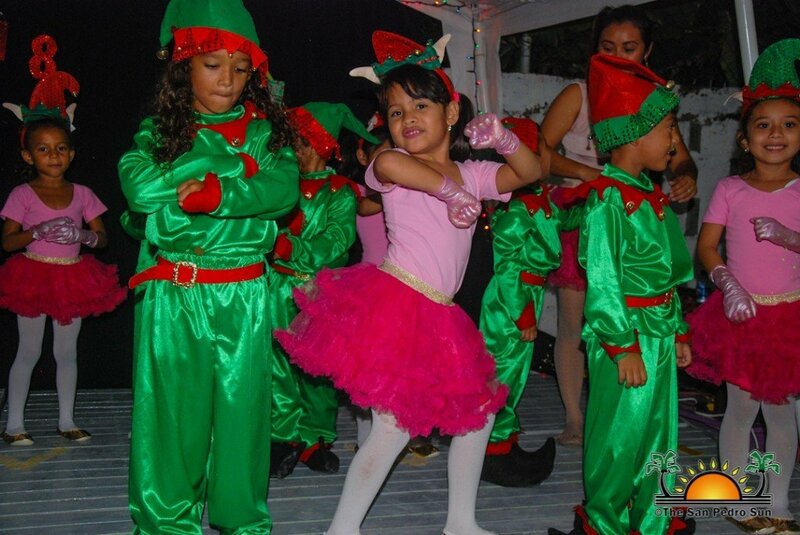 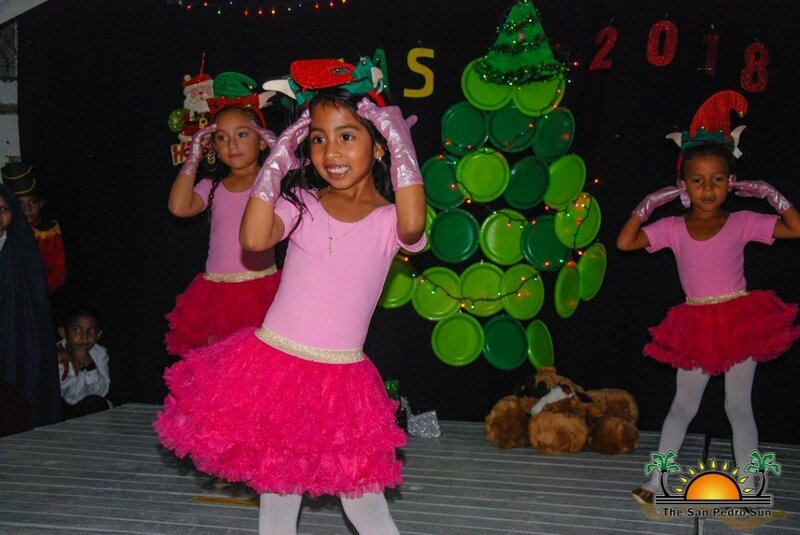 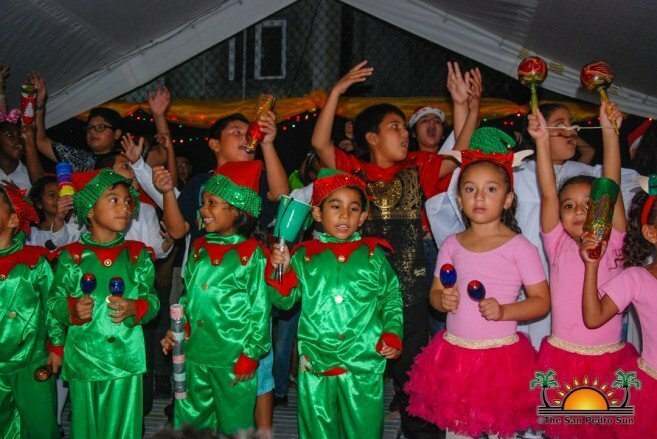 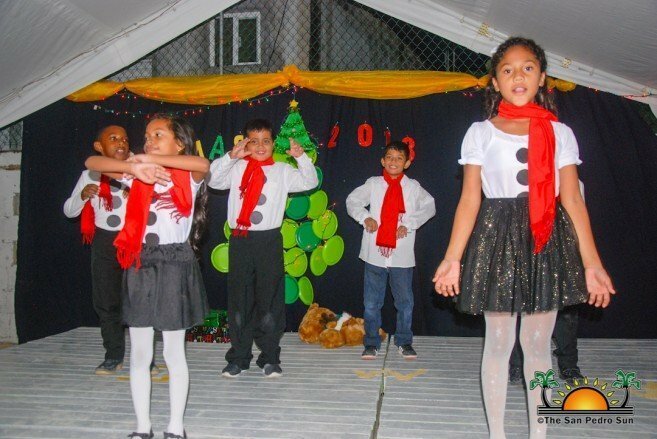 A spectacular and joyful Christmas show delighted parents and guests on Thursday, December 13th by students of Ambergris Caye Elementary School (ACES). 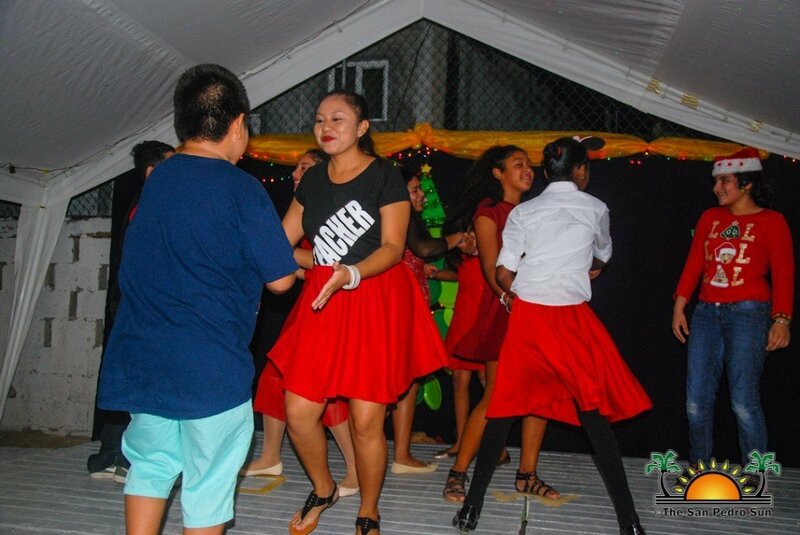 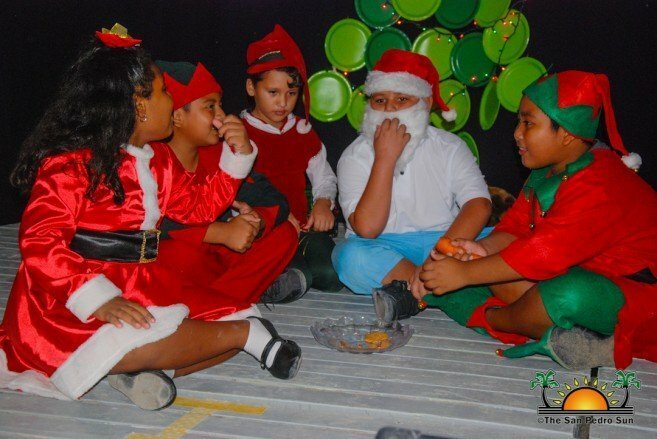 Held at the school grounds, the show delivered an array of different presentations featuring the students’ talents in singing, dancing, and drama as they portrayed the Christmas spirit. 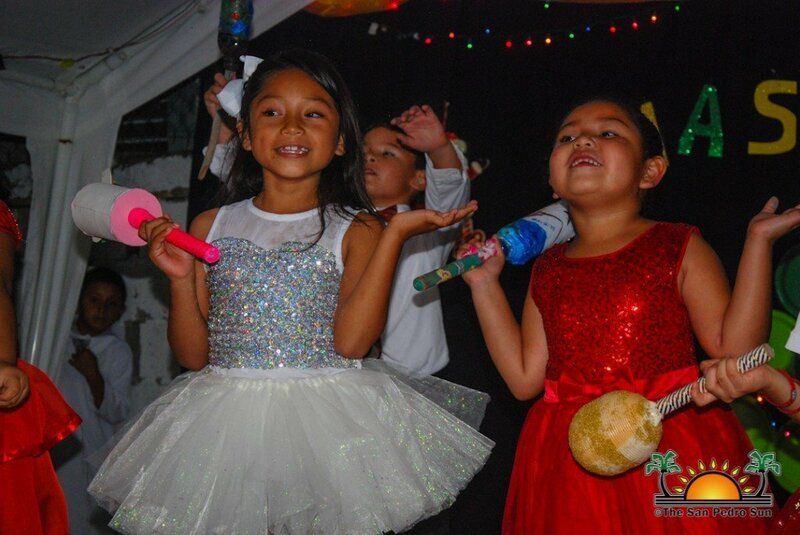 Principal Amanda Burgos welcomed the audience shortly after 6:30PM, thanking them for their support that keeps the celebratory tradition alive. 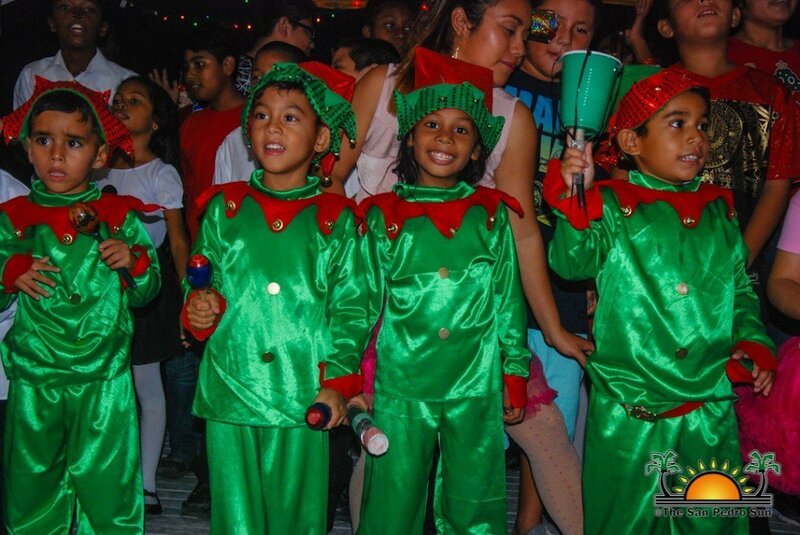 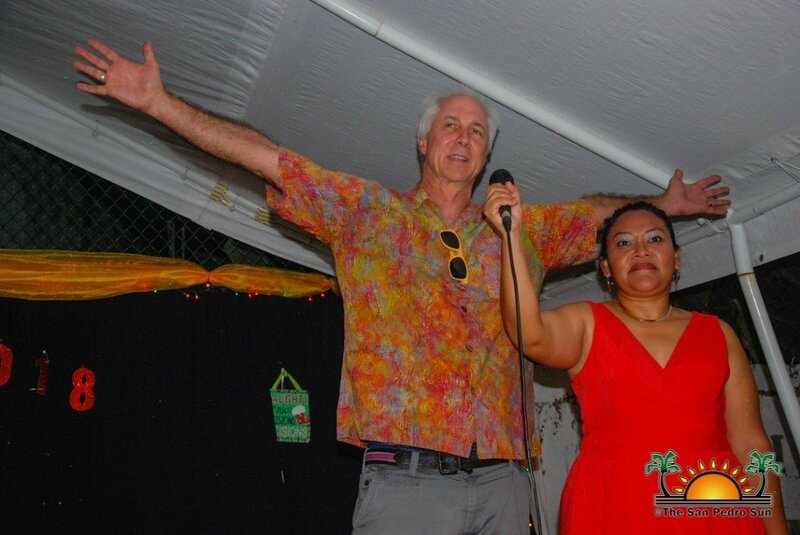 “We have prepared a special show for you all as we head into the Christmas holidays,” said Burgos. 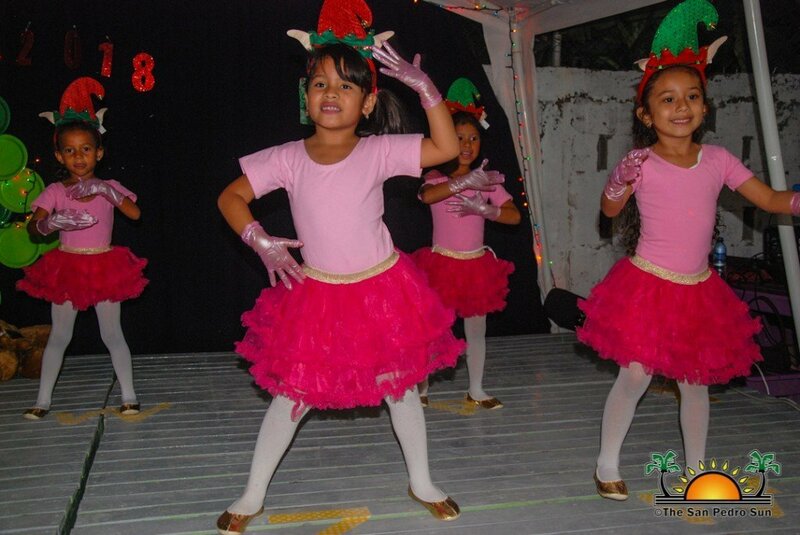 ACES standard one students first took the stage performing ‘I am the happiest Christmas Tree.’ After their presentation, the little girls from Infant One performed a dance called ‘Barbie Girl.’ Soon after they were joined by the male students dressed as elves and together, they danced away. 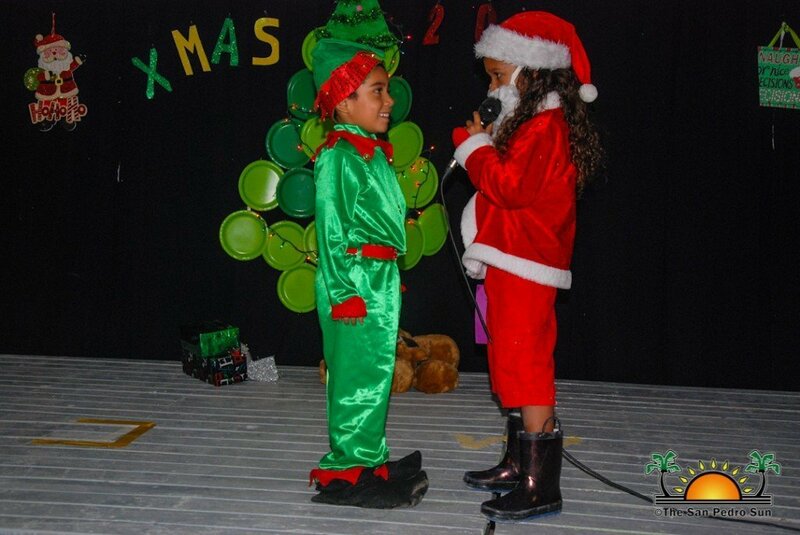 The students of Infant Two also took to the stage singing joyful Christmas carols. 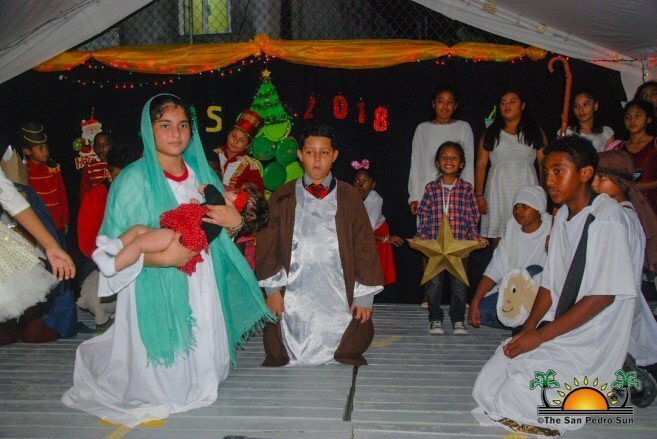 During the intermission, a special visitor to the school and storyteller, and author Stuart Stotts made a short presentation while the other students prepared backstage. 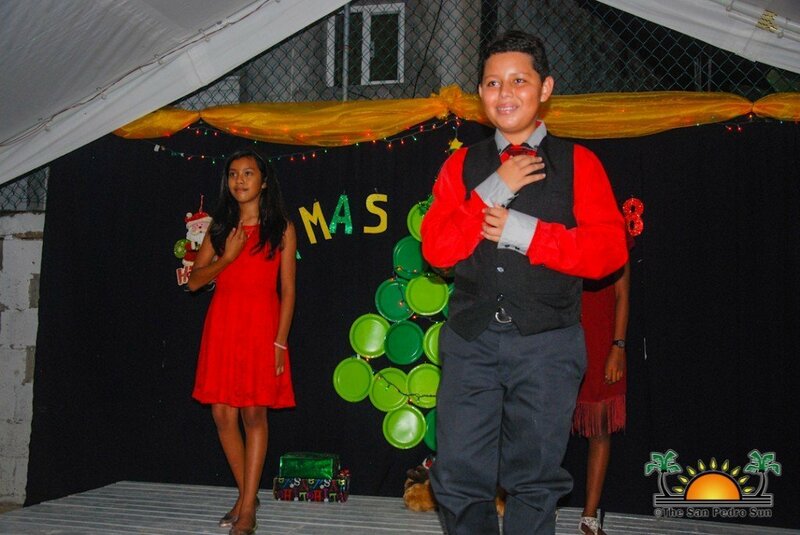 He sang a song called ‘Eight Hugs a Day,’ which involved students and even the audience. 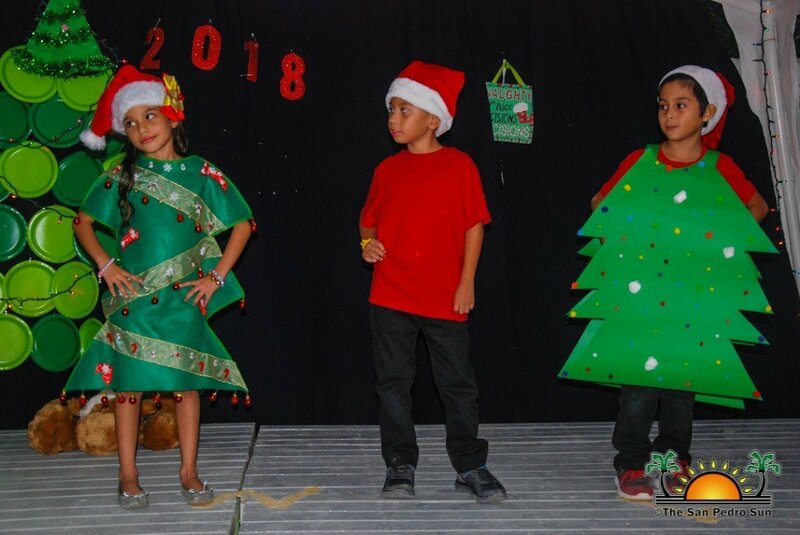 The class of Standard Three presented a song featuring angels and the skit ‘Santa Cookie Problem,’ while Standard Two performed a Christmas dance dressed in bright red scarves. 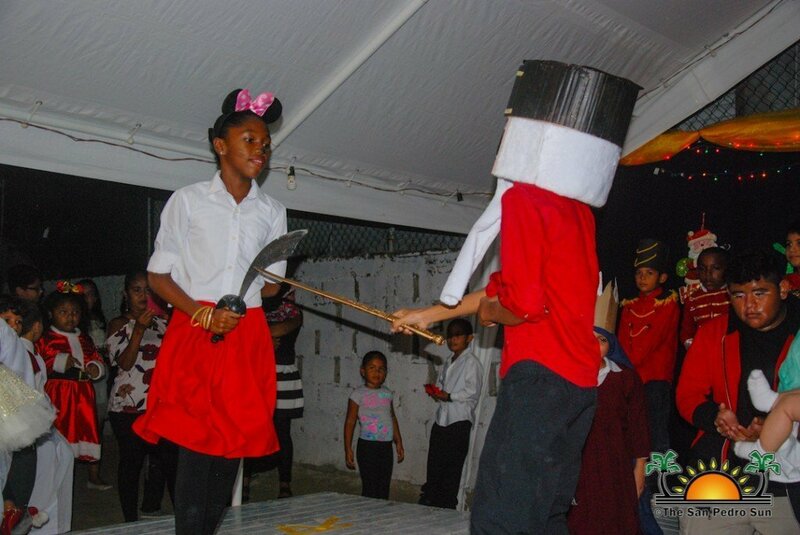 The crowd applauded and cheered as the show continued. 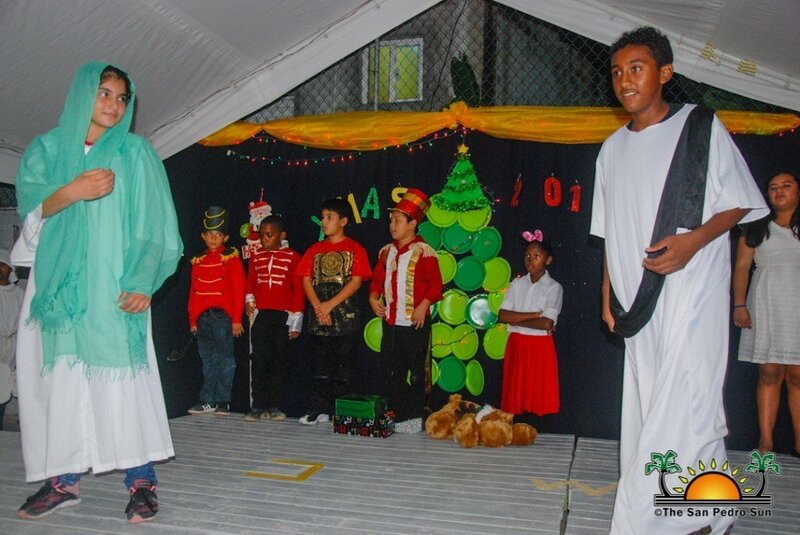 Next were the classes from Standard Four, Five and Six performing a mix of different presentations. 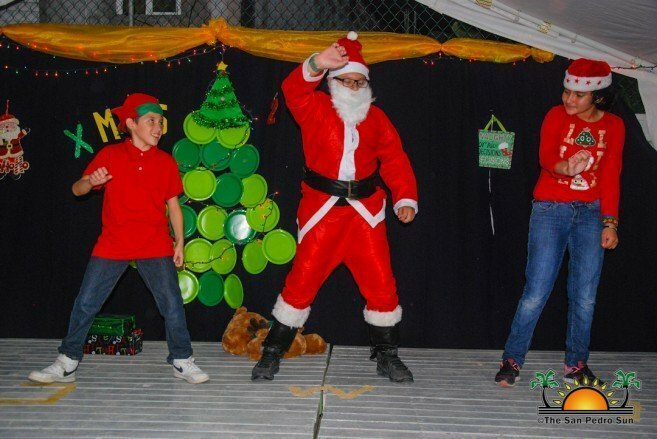 These included dancing with Santa Claus, followed by more dancing, drama, and singing. 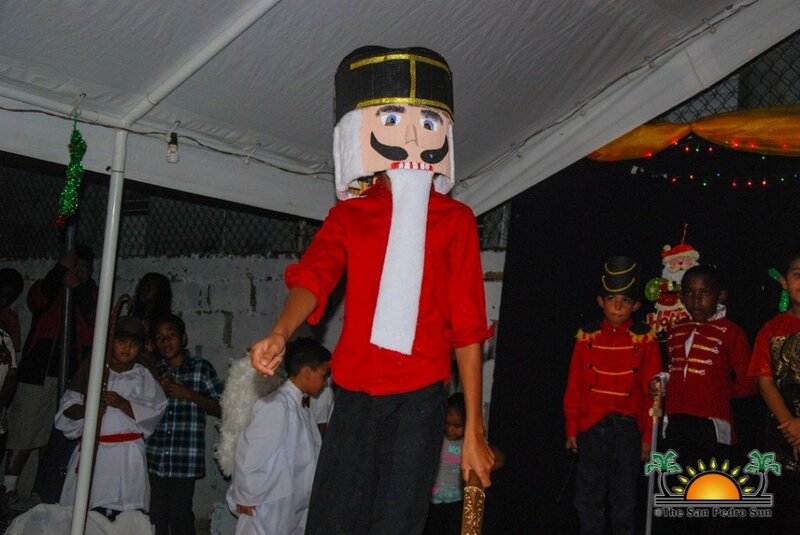 Highlighting the show, was the presentation of the Nutcracker defeating an evil mouse and the Nativity. 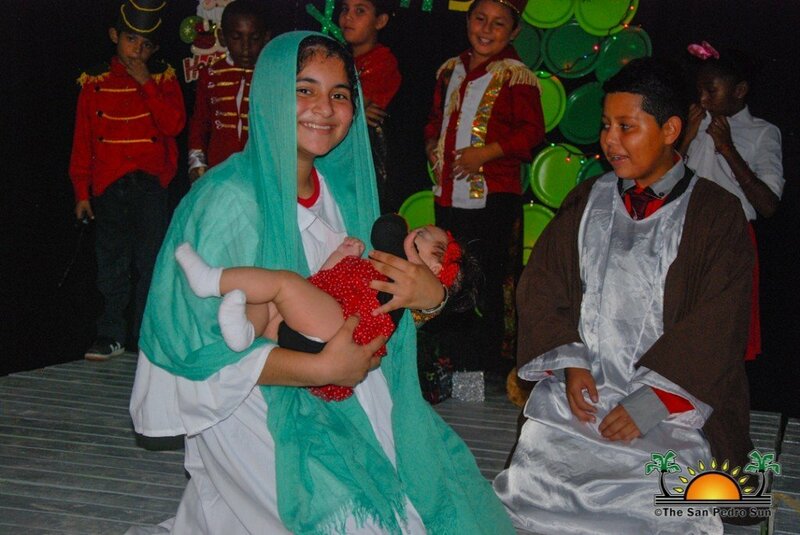 In the Nativity piece, students dramatize the journey of Joseph and the Virgin Mary as they fled to a safe place where baby Jesus was born. 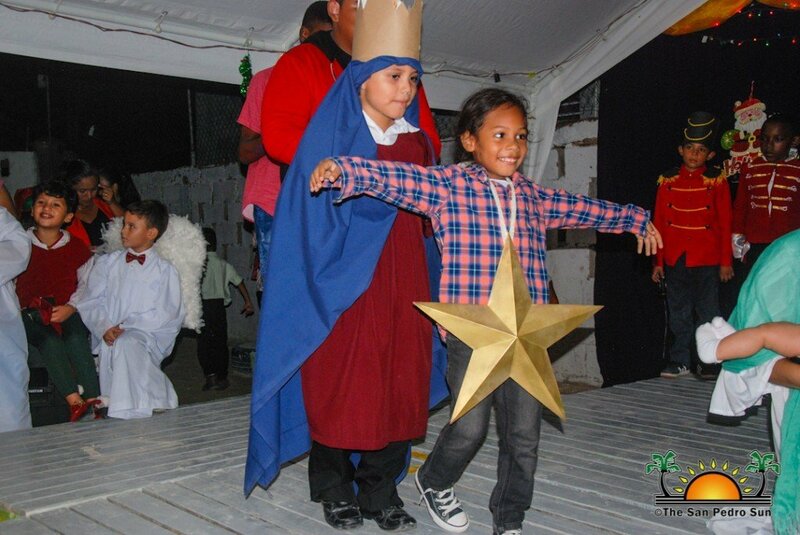 The students also depicted scenes of the three Wise Men and humble peasants. 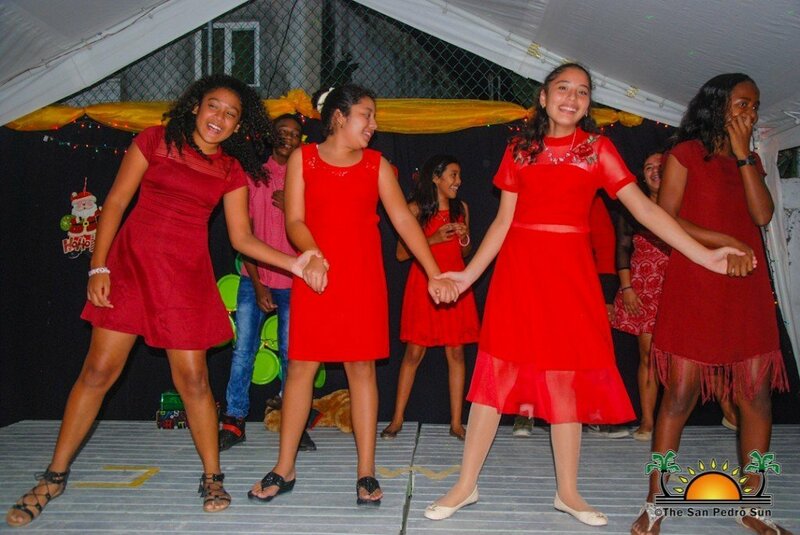 Before the show wrapped up, Teacher Solemi Novelo performed a dance that saw many of the students joining her before the grand finale. 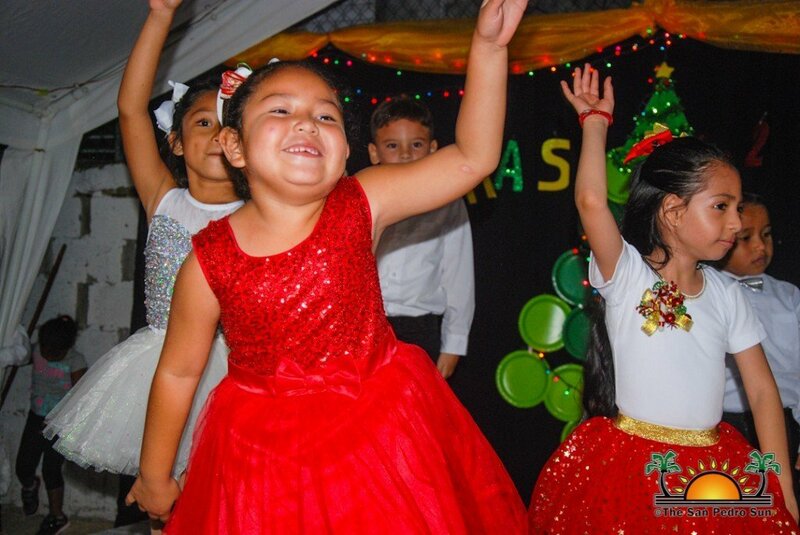 Immediately after, the entire student body sang the classic ‘Feliz Navidad.’ Proud parents and friends sang along with them while clapping and cheering. At the end of the extravaganza, ACES management thanked everyone once again for their support and wished them a Merry Christmas and Happy New Year.